If Quechua is considered the official language of Peru, it is contradictory not to speak or practice it. Our language, admired and spread throughout the world as the language of the Inca Empire, has its mobile application. In it you will find the following categories: Quechua names, dictionary, history, videos and many more. If you like to interact and start to communicate in our language Quechua you can visit its Facebook page: Quechua at NYU. Let us enjoy our history by not only knowing it or sharing it but practicing it, teaching it through our own experience, you do not know how much our country is admired in Europe. Learning English or any foreign language is great because it allows us to communicate with wonderful people and cultures but knowing our roots makes you better Peruvian for the world. 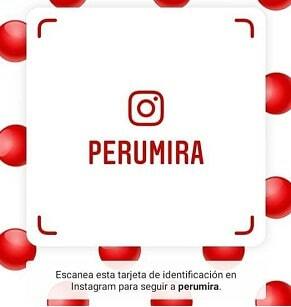 The application was created with the support of the Quechua Language Academy and PromPerú. It is said that it is easier to learn English than our Quechua, comparing almost to languages ​​in Asia in degree of difficulty, a real challenge for students of languages ​​and future translators national or foreign who want to have it on their list of domains. And your cell phone already has Speak Quechua ? Weight of app: 1.9 MB approx. It has now surpassed 100,000 downloads.